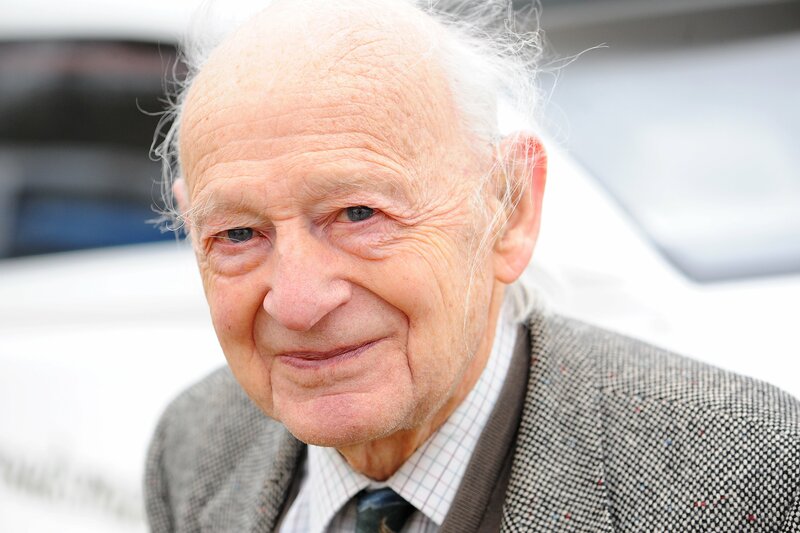 Our founder and a pioneer innovator in the marine industry, Mr Robert ‘Bobby’ John Richardson has passed away aged 95. 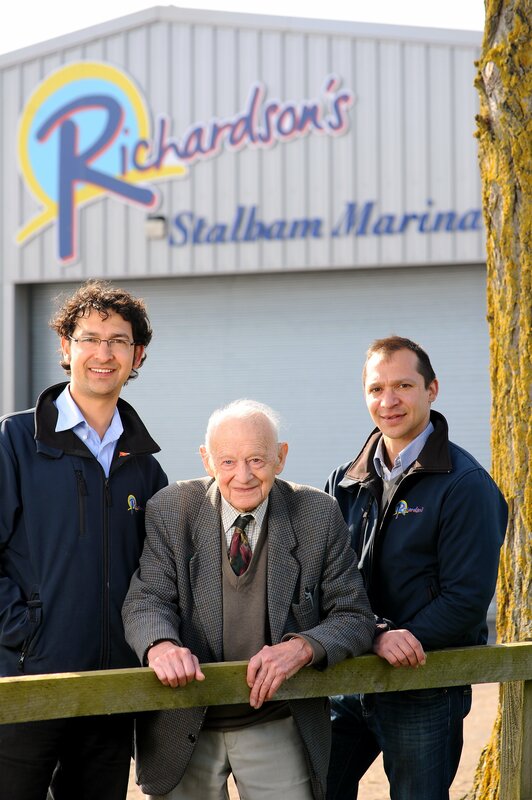 Robert Richardson aged 90 at the launch of the latest Broadsman hire boat from Stalham Marina. Mr Richardson suffered a stroke on the morning of the 19th October 2018 and was taken to the Norfolk and Norwich University Hospital where, with all his children at his bedside, he slowly and peacefully passed away at 1:30am on Saturday morning. As a mark of respect, our flags will fly at half-mast at our marinas and holiday park. Mr Richardson had a daily interest in the success of the business as well as the continuing improvements to land, buildings and boats. He was keen to watch and learn of what was being done and behind the scenes his input continued to be invaluable to the business. Mr Richardson Jnr opened his boating portfolio with the purchase of 4 row boats in the early part of the war before he was ‘called up’ and his father let them for him during the War, in addition to the existing fleet of day boats. In 1944 Mr Richardson purchased their first motor cruiser and early 1944 Mr Richardson Snr and Jnr bought Old Mill House Boatyard in Oulton Broad, from which they let row boats, sailing boats and motor launches. Robert Jnr was in the RAF during the war, stationed in Palestine, Egypt and India. In 1947 he re-joined his father in the boat letting business. 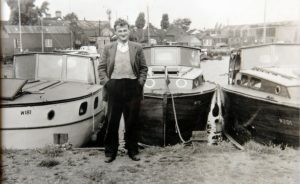 By 1957 the Hire Fleet had outgrown the Oulton Broad sites which led to Mr Richardson Jnr looking for larger premises on the Norfolk Broads. During late 1957 the fleet of hire boats was moved to Stalham and hiring commenced Spring 1958. During the next 15 years the fleet increased with the expansion of the original site at Stalham, creating the largest boatyard on the whole of the Norfolk and Suffolk Broads. In 1986 Horning Boatyard was purchased, followed by three boatyards on the River Thames in 1991. The last boatyard to be purchased was ‘Hearts Cruisers’ in Thorpe Norwich in 1992. 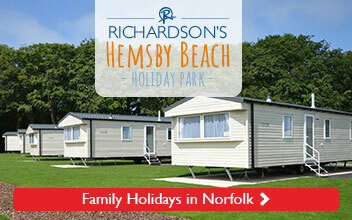 In 1993 Mr Richardson diversified bringing a new venture to the Group with the introduction of Holiday Villages. His achievements within the marine industry were recognised in 2010 with Mr Richardson being awarded the Boating Business Lifetime Achievement Award by Marine Trades Association (MTA) and Boating Business. 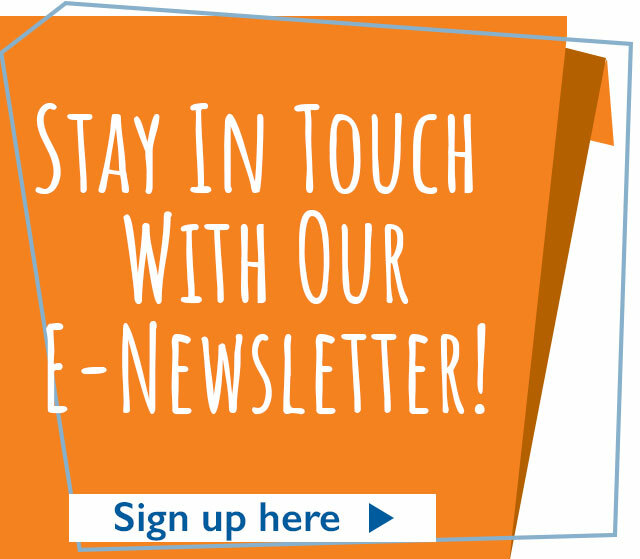 For more on Mr Richardson’s amazing history, click here. Robert Richardson (centre) with his sons Clive (left) and Paul (right) at the Stalham Marina base. Our Chief Executive and President of British Marine, Greg Munford, said: “Mr Richardson was a pioneer, innovator and an entrepreneur ahead of his time. One of the founding Fathers of post war tourism in our region. A quiet, kind and true gentleman whose passion for boating and business has allowed millions of people to enjoy our wonderful waterways in Norfolk, Suffolk and the Thames along with holidays on land through his inspired diversification into holiday parks. His business has created happy memories that families and friends will never forget and that will transcend their generations. For those who had the privilege to know him his memory will never be lost. Mr Richardson leaves behind a much-loved family; his daughters Jess and Laura, sons Paul and Clive and nine grandchildren.